Now, I do believe I mentioned the other macarons? After we had tasted the pure sublimity that was the Jean-Paul Hevin macaron, we were floating on a cloud of joy, and also spoiled by something exceptional. The joy didn't last long: we were stuck in Paris until 9:13 (the tickets we'd booked were super cheap and couldn't be changed to an earlier train--we tried), and it was still hot and crowded and dirty and smoky. But the memory of excellence was still with us, and when we walked past a McDonald's, of all things, which sold macarons, of all things, we knew we had to try them. Now, the Hevin macarons had been delivered to us wrapped in a little sheaf of paper tucked into an elegant brown-and blue box which was fastened shut with a blue elastic cord affixed to which was a little metal plaque with the Hevin logo, the whole placed in a heavy paper bag with narrow but strong paper handles; preposterously lovely, for something meant to be thrown away. (We're keeping the elastic cords.) The McDonald's macarons, by contrast, were put into an overly large white box and then unnecessarily placed in an even larger white bag, with, again, paper handles. There were also some napkins tossed in. The McDonald's macarons were exactly as you would expect: heavy, dense, industrial; thickly sweet and uninteresting. They were to the Hevin macarons what a Britney Spears cologne is to a Serge Lutens creation. There is only one thing for it, then. We must either return to Paris to experience those astonishing little confections, or we must learn to make our own. I will keep you posted. Yesterday we went to Oxford, a beautiful university town, and my final impression, which I think you will agree is a continuing theme of this trip Jim and I are on, is that I want to move there. Very much. The only olfactory thing of note is that just outside the train station were a number of lovingly tended trees bearing massive clusters of tiny blue-violet flowers. 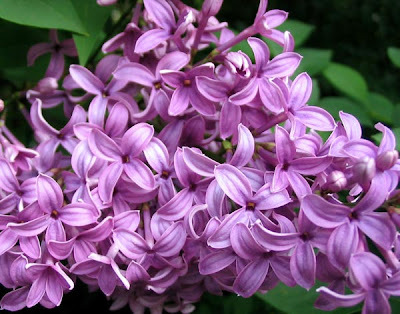 They resembled minuscule lilacs, but not really, and they smelled a bit like lilacs, but not really; sharper, greener, without that lilac creaminess. Jim has pictures; I'll share them with you when we get back, and see if we can't figure out what they are. 1) I realize now that I was on the cusp of getting a cold, which has now two days later settled in with a vengeance. (It doesn't affect my sense of smell, though.) A cold while I'm on vacation: great. 2) It was allergy season, and I forgot to take my Reactine, aka cetirizine hydrochloride, which works beautifully where no other medication will, so I was sneezing and sniffling the whole day. 3) The pharmacist from whom I tried to buy some cetirizine hydrochloride either didn't know that loratadine and cetirizine hydrochloride are not the same thing, or thought that the one was as good as the other, but she kept trying to sell me loratadine, and I wasn't having any of it. Oh, and Reactine apparently isn't available in France without a prescription. 4) Look, I really hate to say this, but the fact is that Paris is dirty compared to other large cities I've been in. Way way back in 1981, when I was in Europe for the first time, I noticed that the London subway system, in which you must present your ticket at the end of your journey, was exceptionally clean, whereas the Paris subway system, in which your ticket is essentially garbage once you've gone through the gate, was a mess, with blizzards of spent tickets everywhere. I don't know if this speaks to some essential difference between the English and the French (people are kind of messy anywhere in the world, I think), but it was noticeable then, and it's noticeable now. Anyway. 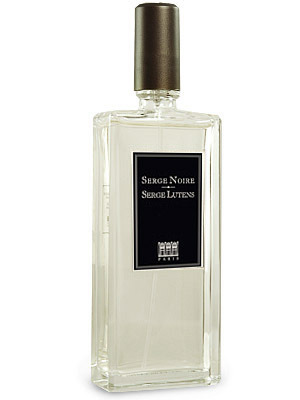 Back to Serge Lutens. I should have tried speaking French with the lovely Sandrine, because I can do basic shopping in that language and I can certainly talk about perfume, but the second she said "La Myrrhe", I knew I couldn't do it. I can't possibly get that first vowel exactly right the way she did and roll that doubled r so precisely. Once I had made my choice of Fumerie Turque and Fourreau Noir, Sandrine went to a couple of cabinets and extracted the boxes, and then opened a drawer and began pulling out little square folders. These are the Petits Livres de Parfums, booklets that contain solid perfumes in the form of four little discs of soft wax. There are five of them. Sandrine took out one of each along with a card explaining what they were, wrapped the bundle in a rectangle of black tissue, sealed it with a tiny sticker, and tucked it into a white envelope which she also sealed. Then she began digging for samples for me, which proved to be a bit of challenge--either she kept naming things I already owned or had tried, or she didn't have the things I hadn't tried, for which she apologized profusely (and unnecessarily). I wound up with three; you would probably do better for yourself if you just took whatever was offered. The whole visit was marvellous, even the sweet torture of narrowing down all my options to just one or two, and if you are ever in Paris, you absolutely must experience it for yourself, whatever damage it causes your bank account. Then we started walking towards the Champs Elysees and the Arc de Triomphe on a course I had marked out, which of course was a colossal mistake, given the heat. We were both in increasingly bad moods, directed towards not one another (much) but the general situation in which we found ourselves--hot, miserable, and trapped until our train home at 9:13 p.m., which seemed infinitely far away. It was more or less at the lowest point that we found ourselves at the edge of the Tuileries, which is stunningly wide and tree-lined and wonderfully cluttered with chairs in which the hot and weary traveller can sit and rest for a while, which is just what we did. And then we opened the little boxes of macarons, which are not the stolid coconut-and-sugar paperweights we get in North America, but little pastel-hued almond biscuits sandwiched together with a flavoured filling. We had bought some at the Galeries Lafayette from a store called Jean-Paul Hevin, a chocolatier and, evidently, macaronnier. When I opened the box and put my nose to it--because, of course, I put my nose to nearly everything, for better or worse--I was thrilled by what is easily one of the five best things I have ever smelled; rich yet delicate, a little bouquet of fruit and pastry and vanilla notes. If you could put it in a bottle you'd make a fortune. The macarons themselves were everything I'd ever heard and more. The biscuits have a thin sugary crust which cracks apart like a dainty eggshell to reveal a tender, airy cake perfumed with almond. And the fillings! Fig-and-chocolate paste, like a date square the angels would bake. Ganache made with Earl Grey Tea. Grapefruit, for heaven's sake! Do you want to know what they taste like? They taste like happiness. And for a little while, despite the heat and the smoke and the grunge, I was honestly happy. Coming up: other, lesser macarons. We had originally planned to go to the UK for only two weeks, but through a series of circumstances too convoluted to talk about right now, we ended up going for three. Since we didn't have a huge amount of time, we planned on a single day in Paris, and booked the (expensive and unalterable) ticket on the Eurostar. Unfortunately for us, Paris--most of western Europe, really--was undergoing an unseasonably hot spell for late May, and they do not appear to believe in air conditioning. As a result, we ended up walking around the city in 33-degree weather, with the sky a haze-smeared inferno that was somehow worse than a cloudless sky, because the thin cloudiness diffused the sunlight into something that seemed to be coming from every direction at once. Boo hoo, I hear you say. But I grew up in a cool climate and I have never gotten used to any serious heat, and this was serious heat, as a result of which we both become hotter and sweatier and stickier and more dehydrated and irritable with each passing hour, until by midday I was a cauldron of free-floating anger. This anger was not helped by two little doses of hell. The first is that the signage is hopelessly bad for the non-initiated, and it is extremely difficult to find where you want to go: most of the signs are little blue plaques attached to buildings about two stories up, and far too many of them are difficult to read or obscured by awnings, in addition to which the Metro stops are frequently unlabelled or otherwise hard to spot--compare this to Toronto or London or New York, which make sure you can see them from across or down the street. I'm sure there are third world countries that have better signage than Paris does. The second hellishness is that all Parisians smoke. I'm convinced that upon reaching their sixth birthday, they're issued a carton of cigarettes and a nice little enamelled lighter and told to have at it. Since you can't smoke in buildings any more, they all congregate outside--right outside, where the smoke blows into the open doors and windows. If you want to eat at a restaurant (of which there are many), you can hardly manage it with the slightest degree of comfort, because to eat inside on a day like yesterday means that you're melting into your seat and being assaulted with wafting cigarette smoke, and if you eat outside you're subjected to even more smoke. After yesterday, I feel as if I'd smoked an entire pack myself. After arriving at 10:20 or so, we started out the day by looking for a couple of famous department stores, Galeries Lafayette and Le Printemps, so that Jim could buy a couple of shirts. We expected department stores; think Sears or The Bay. What we found was more along the lines of Holt Renfrew or Bergdorf Goodman. At one of the stores I found a dreadfully tempting set of Etat Libre D'Orange miniatures, sixteen little bottles (maybe 5 mL each), for €125, but I managed to put it back on the shelf, realizing that 1) I like maybe half the ELO scents I've tried, which is not a good average (although I briefly considered a bottle of the spectacular Je Suis Un Homme at €59 before realizing I could order it once I got back home), and 2) I would be going to the Serge Lutens boutique in the Palais Royale later that day. You don't need me to tell you that if you are ever in Paris, you have to go there (and good luck finding it--it's well hidden), because it is a bedroom-sized temple to the exquisite, dimly lit to increase its allure, with a spiral staircase anchoring the middle and a few gorgeous tables stationed around it, each of which bears an array of bottles to tempt you and a little grooved tablet containing a battalion of hand-labelled strips of blotter paper for you to sniff deeply. The lovely saleswoman, Sandrine, spoke good English; I think I could have made a go of it in French, but after hearing her I lost my nerve. (I would like to say that I did manage a few transactions in French yesterday, but that's as far as it goes: I speak shopping French only.) I naturally made a beeline for the Exclusive line, which are barely and rarely if ever made available outside Paris; unlike the Export line of tall, stately 50-mL sprays, the Exclusives come in bell-shaped bottles with a spherical stopper, and are 75 mL each. I told Sandrine what I already owned and she showed me a selection of possibilities, and fairly soon fastened onto the fact that I probably needed to own Fumerie Turque, a smoky, dreamy concoction of tobacco and warm orientalia. I quickly wrote off Rahat Loukoum, which is pure sugar, almost Pink Sugar; Muscs Khoublai Khan, which I like but don't need a full bottle of; Sarrasins, a jasminey floral concoction (I think I like the purer jasmine A La Nuit better); El Attarine, a lot of cumin and immortelle; and Encens Lavande, La Myrrhe, and Bois Oriental. Cuir Mauresque wasn't as magical as I was expecting for a leather scent, but still a distant possibility, as were Mandarine-Mandarin and Santal de Mysore. But then Fourreau Noir happened. Oh, good god. It is a swirl of lavender and tonka bean and I don't know what else, masculine despite its name (a fourreau noir is basically a little black dress), oriental but not heavily or obviously so, irresistible in its every aspect. I suppose I should have tried it on my skin, but I didn't really have to; I knew. I couldn't decide between Fumerie Turque and Fourreau Noir, so I had no choice: I bought them both. Coming up next: the confection that changed everything. Paris was, alas, not congenial, due in some measure to the awful weather (33 degrees Celsius and starkly, brutally sunny). Two things happened to make it somewhat less onerous. 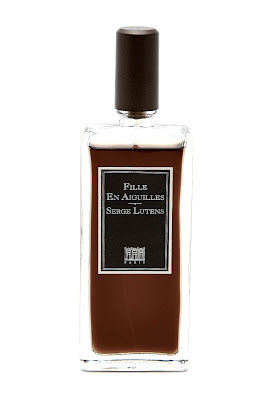 One was that I got to the Serge Lutens boutique and bought two of the exclusive--non-export--bell jars. I won't tell you yet which they are, but you are free to guess. (I haven't written about either of them yet.) The other is that we discovered an enchanting, quintessentially French sweet that literally changed our day. The hotel in Oban, which is in Scotland and which you probably have never heard of, was tiny. Bijou, as they say in the hotel biz. The only toiletry provided was a nondescript shower gel by a company whose name I have already forgotten. The Millennium Hotel in Glasgow was dreadful for reasons I shall get into when the trip is over and I have a proper keyboard, but the shower gel and shampoo can be described in four words only: SPEC TAC U LAR. If only we had stayed more than 6 hours. The Cromwell in London has a big pump bottle of soap/shower gel/shampoo bolted to the wall of the bath. Not worth bolting down. If you ever visit Bath, and you should, you ought to see about staying at the Carfax Hotel, which we loved: old Georgian buildings with crazy-high ceilings, within walking distance of utterly everything. My only real beef was with the supplied toiletries, which, as you know if you've read about any of our other trips, I tend to hoard as mementoes. The little bottles of shower gel and shampoo and whatnot were decorated in an overly adorable style--Georgian, I suppose--and contained products that were altogether too flowery and girly. Do only women stay at the Carfax and we weren't told? Or are men supposed to bring their own manly products? So I went to Boots, a drugstore, and bought little travel bottles of what appears in retrospect to be a house brand of shower gel, Original Source Tea Tree and Lemon & Tea Tree and Mint. The former smells like a lemon meringue pie with tea tree oil added, the latter exactly what it says on the label. They are both wonderful. I shall have to buy full-sized bottles before heading home. If you ever visit Edinburgh, and you should, you might want to try to get a good rate on the Fraser Suites, as we did. 15-foot ceilings, gorgeous bathrooms, free laundry facilities, in just about the best possible location if you're on foot. My only real beef was with the toiletries, which were advertised to be l'Occitane but which turned out to be something called Peter Thomas Roth. They all smelled like that awful clean-soapy-musky synthetic rose that's in everything--all except the shower gel, which for some reason was a bright, cheerful rose, realistic and enormously appealing. So I tucked the bottle in my toiletry kit and waited for a fresh bottle the next day. It didn't come. Don't they know the drill? All the missing bottles are supposed to be replaced! It wasn't on the next day, either, so I decided to force the issue and hide all the bottles. Didn't work. None of them were replaced. Either the hotel is cutting back on its toiletry supplies (one of each item per room per visit, however long) or the maid doesn't know how this is supposed to work. I'm still going to tip her, though. Update: Jim tells me--he read this online--that it's the policy of The Fraser Suites to supply one of each little necessaire de toilette as a "welcoming gift". After that, I guess, you're on your own. Seems kind of chintzy for such an otherwise top-notch hotel. After managing not to go scent shopping since last Friday, I finally caved today and went to Jenners, a department store in downtown Edinburgh, where after beating around the bush (the very nice Terre d'Hermes parfum and the silly fruity-floral Oriens) for about two minutes I made a beeline for the Serge Lutens counter, my one true obsession, where I sampled Eau de Serge (disappointing), A La Nuit (ravishing), Fleurs d'Oranger (stunning), and Clair de Musc (powdery). I got samples of these last three and also Nuit de Cellophane and the new Voyage d'Hermes when I bought my latest Lutens acquisitions, Santal Blanc and Ambre Sultan, which as it happens were the only two that they had in stock that I wanted. Lucky they didn't have Arabie or I would have had to make a hard choice. And now I will try very hard not to do any more shopping until the Gatwick duty-free (no, not even in Paris), where all bets are off, up to a limit of $750, which is how much you can bring into Canada. Lilac season will be here in a few weeks. Probably won't be posting much until then. Just so you know. Maybe the odd post here or there, but I'll probably be too busy to attend to it much. All will be revealed when I return. Another Serge Lutens. Apparently I am going to hack my way through his oeuvre come hell or high water. It would be a lot easier if there were a complete set of samples, or, if one may fantasize, a complete set of bottles, kind of like that mind-bending eight-thousand-dollar Complete Penguin Classics Library. Five O'Clock Au Gingembre happens very quickly, so you'd better be paying attention. A brilliant hit of bergamot at the beginning overlying a transparent spice gives the scent a strong, cologney feel; this rapidly evaporates to reveal a warm tea-and-ginger heart that gives meaning to the name--this is teatime, with gingerbread (and black pepper, for some reason). It's gourmand-ish because it's made of food, but not really sweet enough to be called a true gourmand scent--and there's no vanilla in sight, either. After that promising beginning, it quiets down fast; the radiance of the tea and spice dwindles so that the scent lies prettyy close to the skin within a matter of fifteen minutes or so. Eventually a dark but presentably clean patchouli sidles up from underneath to join the party, combined with a cocoa note (are the people having hot chocolate after their tea?) that feels very much like Cocoon--a combination which, I have to note, Lutens already did in Borneo 1834. There's nothing identifiably wrong with Five O'Clock Au Gingembre: it's pleasing enough. I didn't want to scrub my skin at any point. But don't we expect more from Lutens and Christopher Sheldrake? Don't we expect mystery, magic? 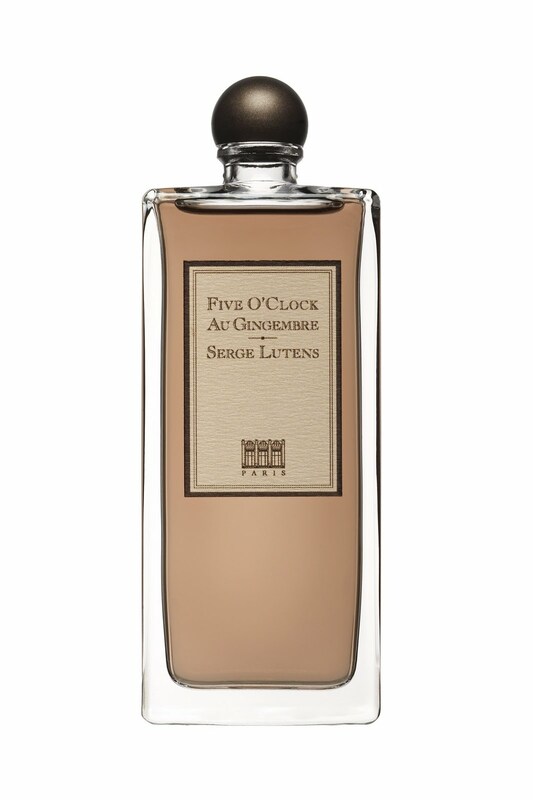 What makes Five O'Clock Au Gingembre a bit of a disappointment is that it feels too simple and stripped-down to be a Serge Lutens scent. There isn't any real oddness or interest to it; the craft and expertise, the artistry, are not there. It seems, to be honest, like a clutch of Demeters tipped into a vat; you feel as if Earl Grey Tea and Black Pepper and Gingerbread and Patchouli would give you the same effect, and if the production of an artist makes you feel as if you could do it yourself, there's something wrong. This one isn't random at all, so the roulette is officially over, I guess. Last week I gave my co-worker Eeva a bunch of samples, and like a true perfumista she sorted through them and unerringly made a beeline for the one she would like the most: Fille en Aiguilles. The name is evidently a sort of triple pun: "aiguilles" means "needles", not only sewing needles but also the needle-like leaves on deciduous trees, and it also (I have read) is a slang term for high-heeled shoes, and "fille" means "girl", but it is pronounced just like "fil", the word for "thread", so the name can mean "girl among the pine needles," "girl in high heels", or "a threaded needle", the last two being references to couture and fashion. Fille en Aiguilles is unequivocally Serge Lutens: it reads like a variation on Chypre Rouge, if you took nearly all the ingredients and replaced them with other Lutensisms, and then dialled the sweetness way back so that Eeva won't get a headache. The two scents have the same basic structure: vaguely winey/boozy stewed fruit on top, some tree resins in the middle, a deep woody base. Only the particulars are different. They're siblings. Fraternal twins, even. Fille en Aiguilles is more pointed, with a slight smoky brush-fire quality and an assertive outdoorsiness that is foreign to the edible pleasures of Chypre Rouge. I am writing this so I can wear Fille en Aiguilles--despite the name, absolutely unisex, like most of Lutens' output--one last time and then give my second sample to Eeva, so she can enjoy the scent for a while longer before she has to shell out for a whole bottle, which she will certainly do. I won't; it's good, but not for me. I urge you to try both Chypre Rouge and Fille en Aiguilles side by side if you have the chance: I bet one of them will speak to you. Or maybe both! 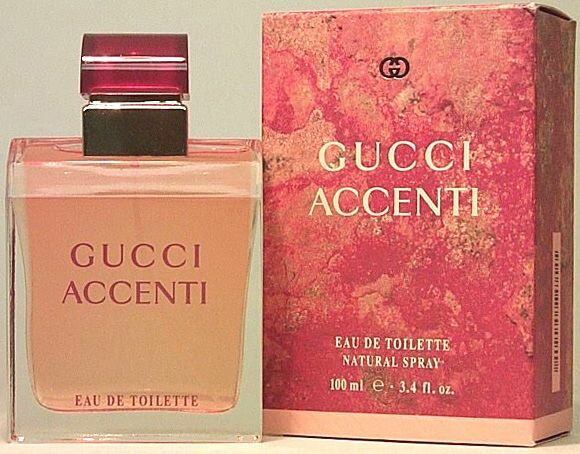 There are many possible reactions to a scent, but when I come across one that makes me either laugh out loud or gasp "Oh my god!, then I know I have myself a winner. Laughter was my delighted first reaction to Serge Lutens' 2006 creation Mandarine-Mandarin; it is enchanting. Not sweet enough to be truly gourmand, the scent still has a lip-smacking quality because until it reaches the very base, it is composed entirely of foodstuffs. The top is a breezy swirl of citrus paired with, because this is a Lutens scent, the fresh rooty-spicy-vegetal scent of raw parsnip, which sounds off-putting but is a remarkably pleasant odour. The citrus soon deepens into marmalade, slightly bitter, slightly sour, paired with, because this is a Lutens scent, curry, and a persistent eddy of smoked tea. And underneath it all is warm, creamy-silky ambergris and tonka bean. Mandarine-Mandarin is the most purely joyous Lutens I have ever smelled. It's not a childlike bright-yellow sort of joy: it's complex, with undercurrents and eddies, and maybe even tinged a little with sadness, but it is joy nonetheless. Mandarine-Mandarin is currently available only in the Exclusive line, which means that if you don't have access to the Serge Lutens store in Paris, you probably can't have any. 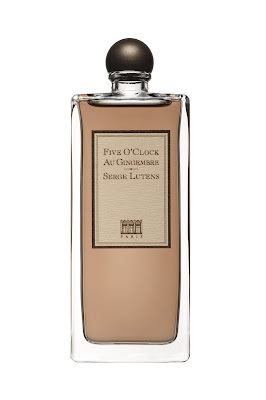 Unfortunately for me, I am going to be in Paris in a few weeks, and there is a small chance that I am going to Les Salons du Palais Royal Shiseido, and there I will be confronted with a bottle of this stuff--only €110, about $145 Canadian, well within reason--along with many other irresistible Lutens concoctions, all equally tempting because they are unavailable anywhere else, and then what am I going to do? Every now and then it's just too tempting not to describe a particular scent as "unlike anything else on the market" or some variation thereof. 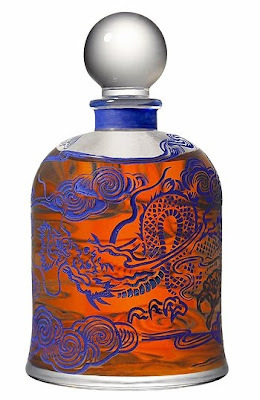 Oscar de la Renta's groundbreaking 1981 scent Pour Lui--explosively bright, penetratingly strong, a spicy, floral, green, leather chypre, nearly the whole history of men's perfumery in a single bottle--would most certainly have fit that description. It smells of nothing except itself. I would have called it inimitable, utterly unique. 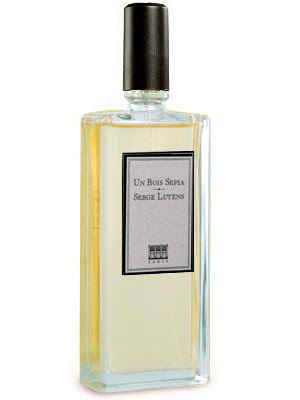 Until yesterday, anyway, when I smelled Un Bois Sepia by Serge Lutens, launched in 1994, which smells very, very, very much like Pour Lui, only not as good, with an echo of the long-discontinued 1992 Etienne Aigner scent Private Number. I am so disappointed in this. This is less a random grab than "Well, I did one of them yesterday, I might as well do the other one today." 4) It reads as masculine. I don't know what they were thinking. After the usual blast of citrus, an extremely diffuse, jasmine-y white floral shows up, rapidly drowned out by a sweet, slightly hard-edged woody oriental base. If they had put this in the Obsession Night for Men bottle in the first place, you wouldn't bat an eye. Long gone are the days when Calvin Klein set trends in American perfumery. 2005's Obsession Night for Men, launched nearly two decades after the original Obsession for Men (with which it has nothing in common), is almost breathtakingly unoriginal: a pushy-shovey opening of citrus and pear (like Dior Higher, four years earlier) over a leather-patchouli-vetiver accord, boiling down to the usual sticky puddle of warm vanilla after a few hours. There's hardly anything "night" about it; there certainly isn't anything "Obsession" about it. But damned if it isn't really nice nonetheless: quietly masculine, not a single misstep from start to finish. It may be lazy perfumery, but it delivers the goods. 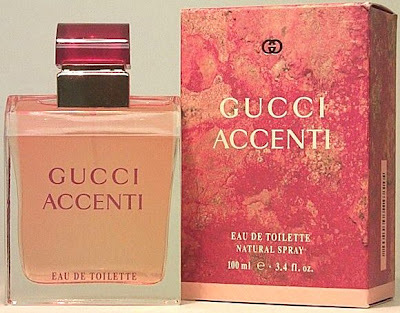 Gucci Accenti, a 1995 fruity-floral oriental concoction of buzzing greenery plus synthetic peach and blackcurrant over an oriental rose, is a loud, vulgar, baffling throwback to the eighties by way of the nineties, when ever-expanding arrays of aromachemicals gave perfumers more and newer ways to assault the senses. Luckily, it's almost impossible to find these days. If it happens that you used to love Accenti and can't get it any more, you could always look for the easily available Dalissime, which it directly references (Dalissime was launched a year earlier) but which is a much, much better scent. True story: I was so weary of writing about scents I didn't like that on Saturday morning I deliberately chose one I was sure I would like (still at random, but from a collection of ambergris samples). I did like it, too, but as usual it took me longer to think about it than I had time for, so I saved the review for the next day, and then as it turned out the next, and now it's Tuesday morning and I just went to take one last sniff before finishing the review and I can't find the damned sample. The vial is bound to show up sooner or later, but in the meantime, I chose something else completely at random and wouldn't you know? I don't like it. Clearly I have been cursed. If you want a better incense scent there's always Andy Warhol Silver Factory, which is just a hair more expensive than Serge Noire ($150 versus $140), is thoroughly enjoyable, and comes in that killer bottle. Edited about three hours later to add: The drydown is very nice, which illustrates the problem of trying to write about a scent quickly the first time you wear it: fragrances--well, most of them--unfold in time, and sometimes the drydown is very different from what you smell earlier. In this case, the burning quality evaporates and leaves a warm, cuddly vanillic haze. I still don't think it's worth waiting for: if I want that, I'll just wear Lutens' own Un Bois Vanille and get the vanilla right from the outset. P.S. The other day I used opera as a metaphor, and now I have first-hand experience of the phenomenon I was talking about, that of opera fans who never seem to be happy with opera. We went to see the Metropolitan Opera HD broadcast of Armida last Saturday, and hoo boy it wasn't good. The production was very silly: why does the Met keep hiring Mary Zimmermann after her much-disliked Lucia, which I didn't see, and her quite bad Sonnambula, which I did? The singing was generally good (not a big fan of Renee Fleming, though I like Lawrence Brownlee), but the opera itself was so boring that I actually fell asleep in the first act. So did Jim. So did the gentleman to my right, who was either so tired or so appalled that he left after Act I and never came back. The rest of it picked up, a little, and I managed to stay awake, bolstered by a large, expensive Diet Coke from the concessions stand, but if I had gone to the Met and paid a lot of money to see this nonsense, I would have been very angry.